Dr Wiskerke is Professor of Rural Sociology at Wageningen University, The Netherlands. He is Editor of the journal Urban Agriculture and Regional Food Systems, was guest editor of the special issue ‘City Region Foodscapes’ of the journal Sustainability, has coordinated a series of major EU projects on urban and peri-urban agriculture and food provisioning such as ‘ ‘FOODLINKS’, ‘PUREFOOD’ and ‘SUPURBFOOD’, and has written widely on this and other aspects of food provisioning and rural development. This collection reviews key recent research on developing urban and per-urban agriculture. Chapters first discuss ways of building urban agriculture, from planning and business models to building social networks to support local supply chains. Other chapters survey developments in key technologies for urban agriculture, including rooftop systems and vertical farming. The book also assesses challenges and improvements in irrigation, waste management, composting/soil nutrition and pest management. The final group of chapters provides a series of case studies on urban farming of particular commodities, including horticultural produce, livestock and forestry. 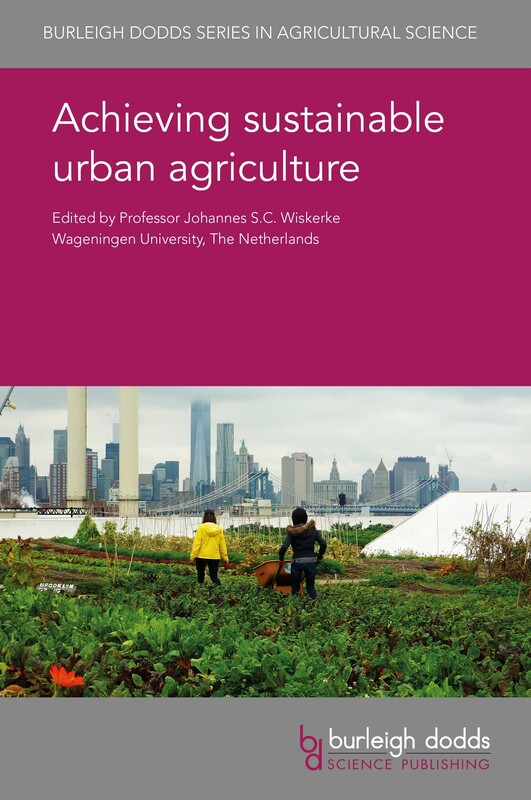 "Prof Wiskerke has drawn together a group of leading authors on urban agriculture in the global north to contribute to what promises to be a leading text on sustainable urban agriculture. Its balance of chapters on governance, technical aspects and case studies will provide a comprehensive source for researchers and policy makers."